Runtime 2 hr. 4 min. 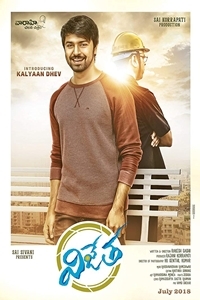 Synopsis‘Vijetha' is the story of a middle-class youth (played by Kalyaan) who has just completed his engineering. A carefree man, Ram, leads an aimless life. Despite the consistent effort and sacrifice of his father, Ram grows to be an irresponsible person. Will he ever make his father proud and settle down in his life?